In 1992, Steve Churm – then the publisher of Newport Beach-based OC Metropolitan Magazine – took a chance on a young writer who proposed writing a monthly theater column for the burgeoning publication. That writer’s career blossomed and grew over the years, as did OC Metro Magazine, the publication’s new name. 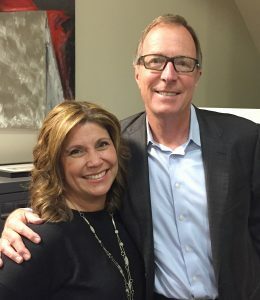 Now, that writer is the editor of the Newport Beach Independent, and Churm – after adding magazines including OC Family, OC Golf, OC Food and others to his publishing dynasty – sold his empire to the OC Register and worked there for a time until leaving last year to become chief communications officer of FivePoints Holdings. Churm is a visionary, a leader, and a man with a good heart and charisma to spare. He also is spearheading the charge for local businessmen to take a stand against domestic violence as the leader of the Human Options Men in Motion Campaign. Back in 1981, Churm’s mother Carolyn Churm, along with Vivian Clecak, Margaret Thoreau and Anne Wright, envisioned a future where no woman or child should ever feel afraid at home. They founded Human Options, and Steve has carried on his mother’s vision. Since its inception in 2004, Men in Motion has raised over $500,000 for prevention programs. Churm has been involved in that project since it began. 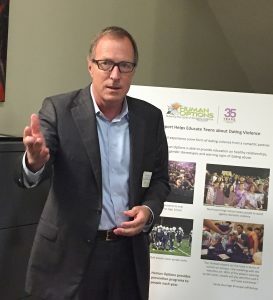 Last month, Human Options recognized Churm, as well as 30 other men who participated in this year’s campaign, during a reception hosted by Human Options board member Mike Morris at the offices of Minyard Morris in Newport Beach. 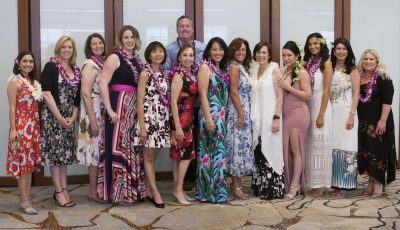 The Men in Motion campaign raises funds to support education and prevention programs for Orange County teens, empowering them to become role models on their campuses and changing the culture of dating violence. 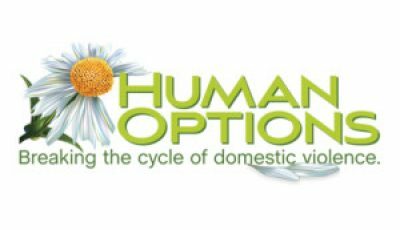 The mission of Human Options is to provide a safe haven and life-changing programs to help abused men, women, their children and families rebuild their lives while working with the community to break the cycle of domestic violence. 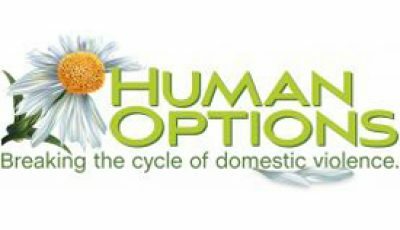 For further information about Human Options, call (949) 737-5242 or visit humanoptions.org.